Not long ago we announced the update to Android 7.0 Nougat, but today we talk about the OnePlus 3 again because it has already begun deploying the ROM CyanogenMod 14.1 unofficial based on Android 7.1 Nougat, now available for a handful of devices. 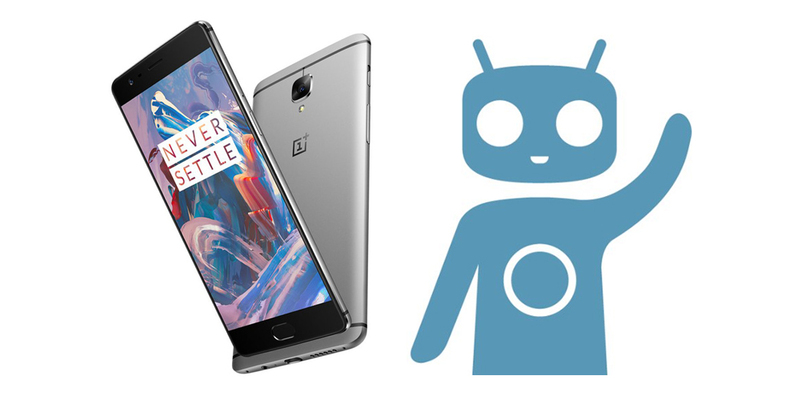 In addition to the OnePlus 3 recall that CyanogenMod 14.1, based on the latest version of Android, is also available unofficially for Nexus 6P, Nexus 5X, LG G4, OnePlus 2 and HTC One A9. CyanogenMod 14.1 is a header ROM for all fans of the Android operating system, either usability or owning a smartphone that is not supported by the manufacturer anymore, it generates more tracking and has a larger community of developers around the world, thanks to which may be adding regularly firmware updates for different cell phones. We take this opportunity to remember that this ROM is in the final stages of development and is still an early build and therefore contain some bugs and errors will be resolved in the next version of the Mod. This version is still Nightly, and therefore it would not be completely stable. That said, we refer to the official download site, where the ROM will be available for download in the coming hours. While the official update from OnePlus arrives, this is the best way to get the latest version of Android in our devices. After this news about the update to Android 7.1 Nougat, we can not forget that in exactly one week, we will have the chance to meet the new OnePlus 3T, the new smartphone developed by the Chinese company which aims to capture a new market share. If the rumors of recent days are confirmed, the enhanced version of OnePlus 3 should arrive on November 14; ie next Monday. As already mentioned, the OnePlus 3T should be the improved version of OnePlus 3 and this thanks to the Snapdragon 821 (successor to the Snapdragon 820) chipset, with a view to conserving phone energy with greater battery life. In conjunction with this power, RAM should be, as in most high-end smartphones now on sale, of 6 GB. The latest news now speak of a generous internal storage with a 128 GB version. This rumor would be more than welcome, given the need to always maintain multiple audio files, photos and videos on the device (in addition to various apps and games for those who can not be separated from their cell phones). If the OnePlus 3 depends on a battery of 3000 mAh, the OnePlus 3T should have an increase that would take 3300 mAh, also including Quick Charge technology support, able to recharge the battery more than 50% in just 30 minutes of connection. In short, the next device in the Asian company should be characterized by battery life and recharge rate, in addition to high performance and smoothness.